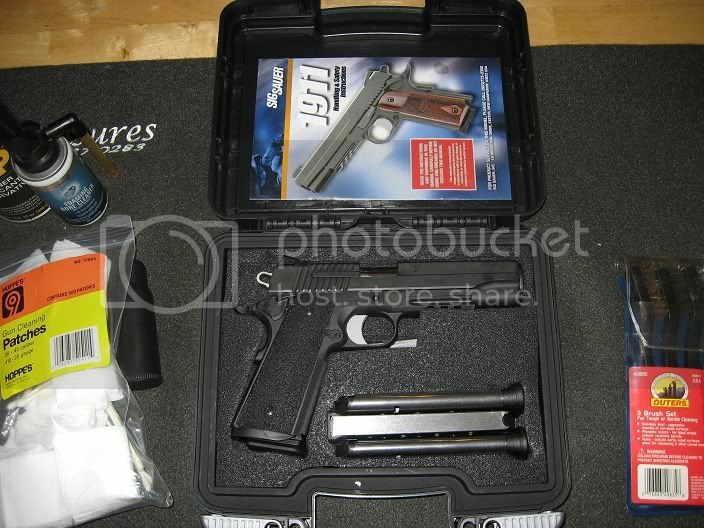 Looking at 1911's, as the owner of four Sig handguns, a couple of their 1911's are on my short list. 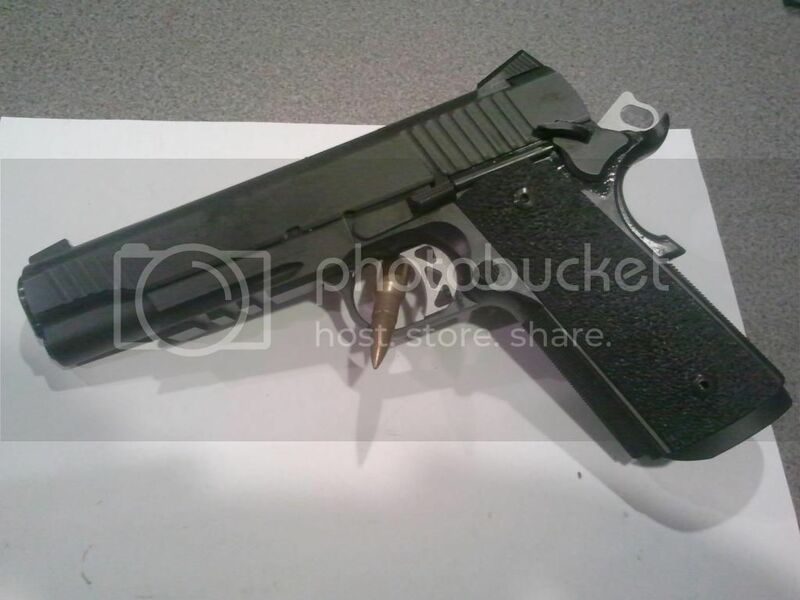 On the Tactical Operations model I see a recent post with photos (and also a GunsAmerica listing) showing it with a skeletonized trigger. 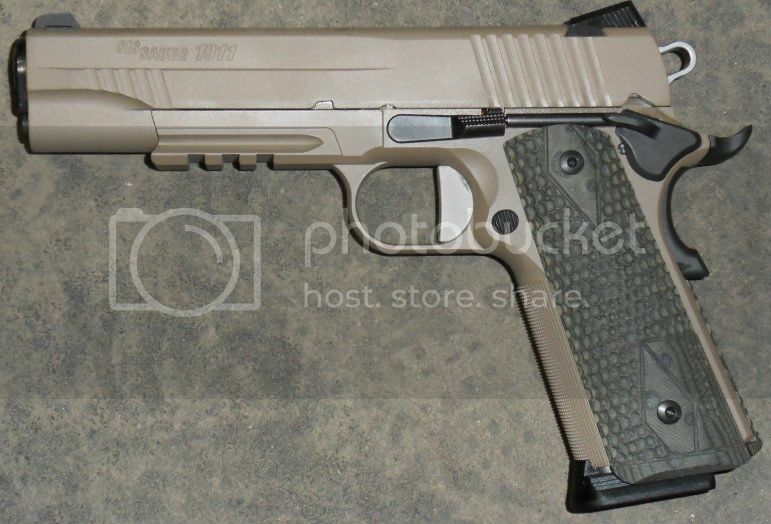 The Sig website shows it without the skeletonized trigger. I really like the skeletonized look much better, so the question is - are both triggers available, or is this a recent change from one to the other? I also like the look of the "Extreme", but that flat trigger just kills it. What gives here? Just figured it out, my bad. Looking at two different models, Tactical Operations vs. Tradtional Tac Ops. Traditional also has the front slide cocking serrations and rounded profile. Traditional would be it. It's actually a recent running change. Both the TacOps (not Traditional models) I've had used the skeleton trigger. Most of the newer models are using it now. Must be an older photo on the Sig website. My Tac Ops that has the regular Sig slide profile has the solid trigger and it's about 1 yr old. I'm pretty sure that was a running change late last year to go to the skeleton trigger. Either way it is a very nice firearm. I really like mine. Pretty sure my carry has a Nov '11 "born on date" with a solid trigger. Traditional TacOps with skeletonized trigger. Very nice, I think this is the one I want. I've only got about 30 rounds through it. Ammo is scarce these days. So far I like it other than the grips. That will change as soon as I get back from a vacation. I'll throw mine out there, too. Hi, I'm Brad. That name was taken though.